Welcome to my blog, featuring various pieces from my collection of Oz books, artwork and memorabilia! An interesting item was auctioned at Swann Galleries in New York this past week - a copy of The Deserted Village, by Oliver Goldsmith, which was published by the Roycroft Press in 1898. 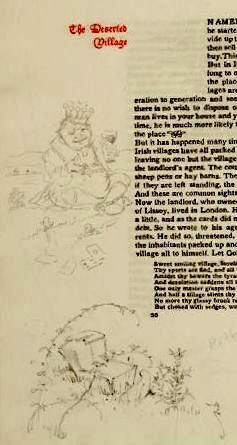 This particular copy has sketches by W. W. Denslow sprinkled throughout the book, on the page borders. Roycroft issued various titles with hand illumination as well as extra illustrations, but it's great fun - and quite a rarity - to see one done by Denslow. This was produced in the first year he traveled to East Aurora to work with the Roycrofters. Unfortunately I didn't win this book at the auction, but I think it's a fascinating Denslow piece! Here are two pieces of sheet music I picked up in a mixed lot recently - Moon Song from The Gingerbread Man, and A String of Pearls from The Pearl and the Pumpkin. Both are from 1905 Broadway shows with slight connections to L. Frank Baum and Oz. The most obvious connection is the success of The Wizard of Oz on Broadway in 1903. This inspired a plethora of fairyland extravaganzas, some successful, others not. On the Gingerbread Man sheet music, the show is labeled a "Fanciful Fairyesque" - what a great description! 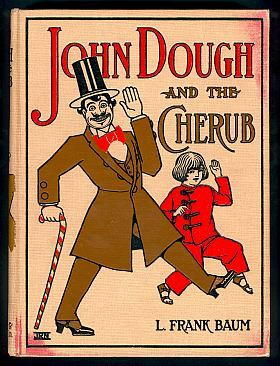 The Gin- gerbread Man is interesting because the main character is named John Dough. 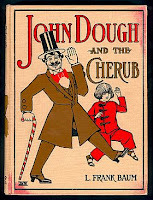 In 1906, Baum would publish John Dough and the Cherub which has no connection to this show aside from the similarity of the title character, a living gingerbread man. The composer for the show was A. Baldwin Sloane, who also wrote some songs that were used in the stage production of The Wizard of Oz. Perhaps he and Baum discussed the idea of a living gingerbread man? 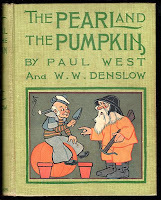 The Pearl and the Pumpkin was co-written by W. W. Denslow, the illustrator of The Wizard of Oz. This show also started as a children's book which was transferred to the stage. While it didn't achieve the success of Oz, it did manage a short run. Yet another John Dough - this time spelled Doe - turns up, this time a Baker/Pie Man! 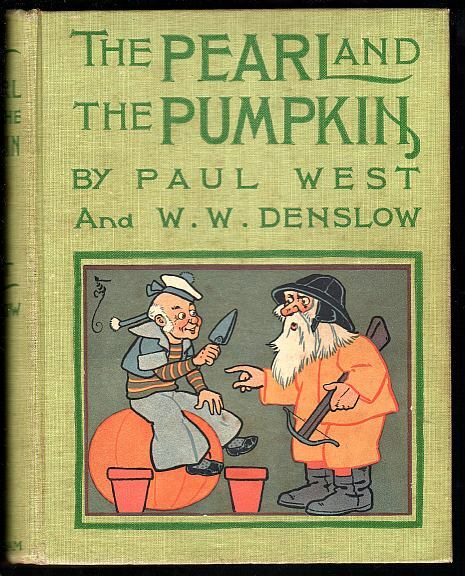 It's a pity that Denslow didn't design the sheet music cover used for selections from this show. Hungry Tiger Press features some musical selections from these shows in their Tiger Tunes, at the Hungry Tiger website.